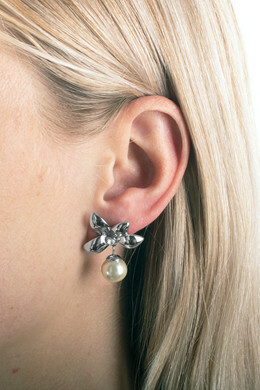 Very notable studded flower shaped earrings, in a polished silver toned finish. 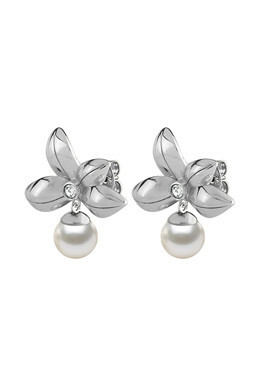 The earrings has a bead pendant in white faux-pearl and a small white crystal set in the flower. The earrings will sparkle up your look, whether you wear them day or evening. With a butterfly closure.